How to put shortcut of a program into the Startup folder ? Visual Step by Step Guide to put shortcut of a program into the Startup folder. 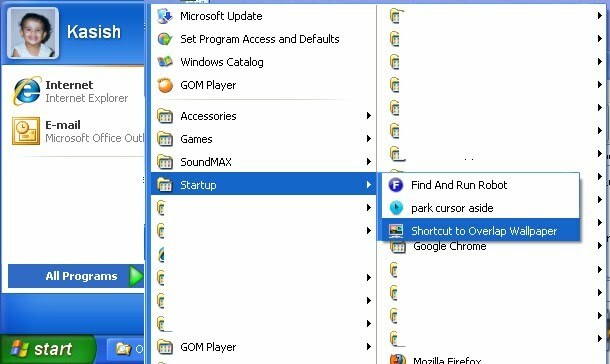 I am giving below the steps to put the shortcut link of a program into the startup folder of Windows, so that the program auto starts each time Windows is started. The steps and visual given below are for WinXp. Similar steps are to be followed for higher versions. Alt+Drag program icon from program folder to startup folder. It can be quickly accessed by opening the Run box, typing in "shell:startup" (without the quote signs) and clicking OK. Thanks to Tom Sawyer from Arizona, USA. Below are the steps given in more details, each accompanying with visual image. 1. Open the program folder window, whose shortcut you want to place in the startup folder. 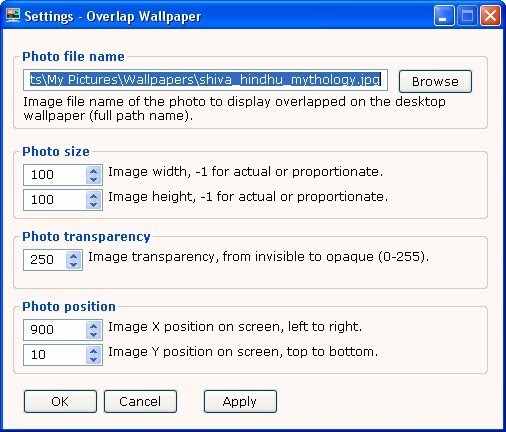 "Overlap Wallpaper" program is taken as an example. 2. Click on "Start" button and open "All Programs" menu. Click in "Startup" menu. It will show the programs in the startup folder, if any. Please note, to keep the visual to the point, unnecessary menus have been removed from the images shown. 3. 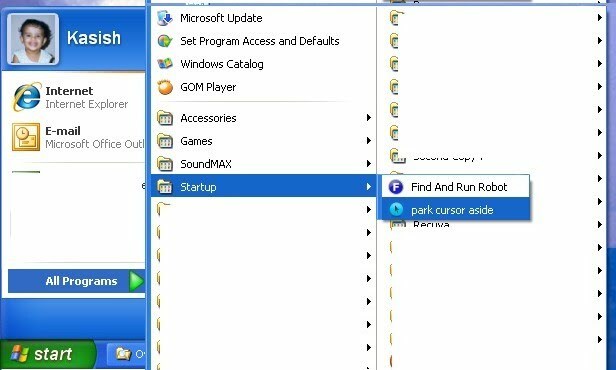 Right click on the "Startup" menu to open the context menu. 4. 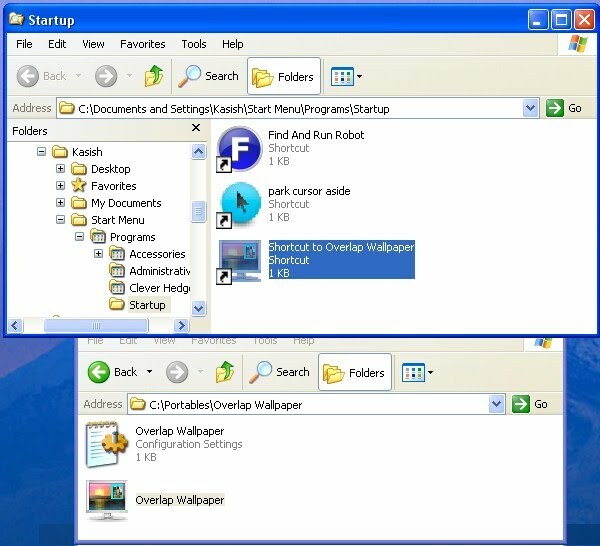 Click on "Open" or "Explorer" to open the "Startup" folder. You may also click on "Explorer All Users", then it will effect for all users on the system. 5. Press and hold "Alt" key and click and drag the program icon, here "Overlap Wallpaper". Please note that the dragged icon will show the shortcut symbol. If you do not see any symbol, then you have not pressed and hold the "Alt" key and instead of the shortcut, the program will be moved. If you do mistake, press "Ctrl+Z" keys to undo and repeat the step. You can also right click and drag the icon, then it will give you menu option to select the drag result. 6. Release the mouse button and "Alt" key to have the shortcut link of the program in the startup folder. 7. You can close both the windows now. Click on "Start" menu and select "Startup", you will see the program, here "Overlap Wallpaper" in it. 8. Restart or reboot Windows. If you can also simply logoff and login. The program will start with windows and show message if any and go to the system tray, here "Overlap Wallpaper". Please note that the explanation below are for the programs which reside in system tray. Some programs in the startup folder may not go to system tray. 9. 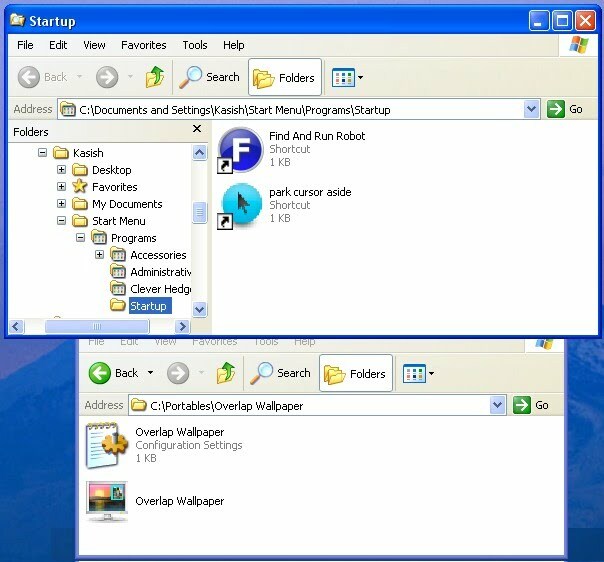 Right click on the icon to open it's context menu, here "Overlap Wallpaper". 10. 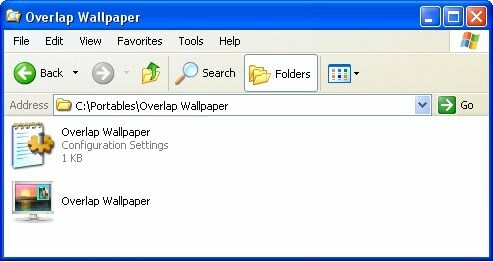 Select "Settings" for "Overlap Wallpaper" here. 11. Put in the values and click "Apply" to see the changes. Click "OK" to close. The program will keep running in the system tray. To exit the program, right click again on the system tray icon and select "Exit". The program will close and the icon will be removed from the system tray. On next restart of Windows, the program will start again, since the shortcut of it is in the startup folder. I hope you will be able to put shortcut of any program you want in the startup folder with ease now.